The Campbell Hausfeld 2-inch brad air nailer/stapler (SB504099) is designed for a variety of home projects, ranging from installing trim to fastening upholstery and creating crafts. 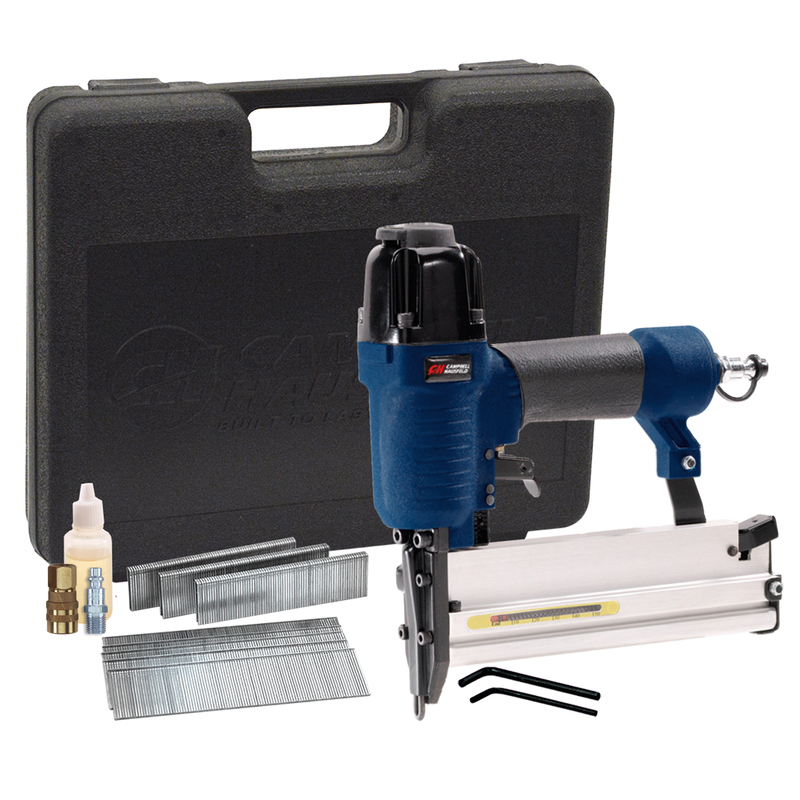 With its 2-in-1 magazine, this versatile air tool can be used as either an air nailer to drive 18-gauge brad nails or as an air stapler that can drive 1/4-inch crown staples. Helpful features like adjustable exhaust and adjustable depth control make it easier to finish your project like a pro.